Check out Tobi's Dancing With The Stars Metallic Tassel Earrings Put on your statement earrings 'cause you are going out out. 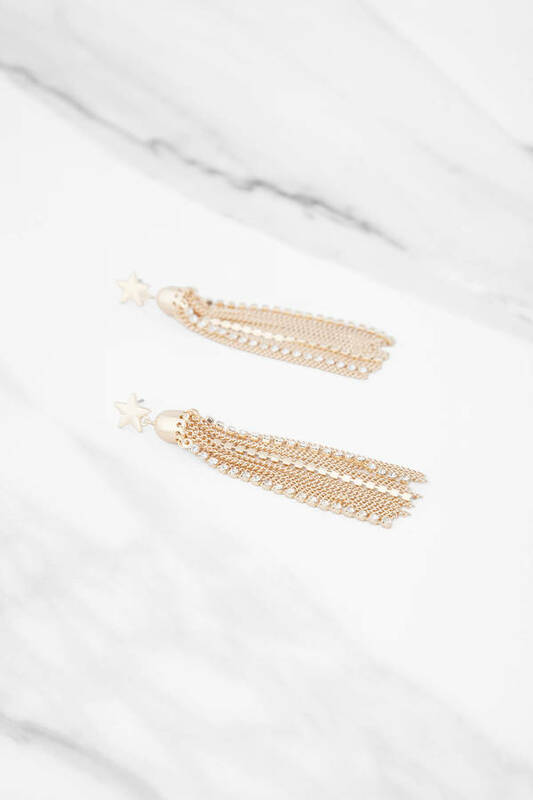 The Gold Dancing With The Stars Metallic Tassel Earrings are made for the dancefloor with their star ear studs and dangling metal and diamante chains. Slay your next girls night with these dangly earrings. Put on your statement earrings 'cause you are going out out. 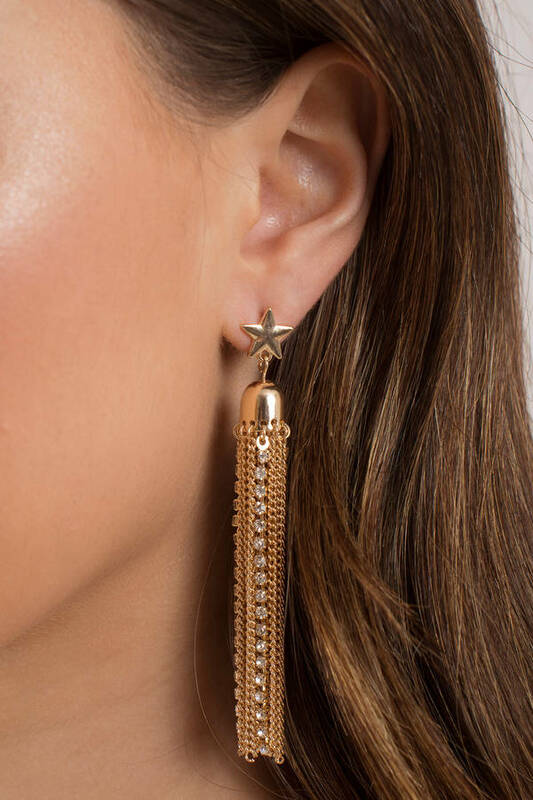 The Gold Dancing With The Stars Metallic Tassel Earrings are made for the dancefloor with their star ear studs and dangling metal and diamante chains. Slay your next girls night with these dangly earrings.